A typical Shri Ram calendar is packed with events and activities throughout the year: competitions, shows and exhibitions in the fields of art, science, sports, social studies, debating, elocution, working towards the environment, creative writing and performing arts. We believe that activities create a space where most children feel comfortable and focus on giving of their best. We aim to create this space for all our children. The events that we plan and participate in are perfect platforms for students to use to find and express their talents and interests, and in the process discover more about themselves. The calendar makes available varied opportunities for students to experiment and find those areas in which they excel; more importantly, areas in which they find comfort and enjoyment. The school takes part in an eclectic mix of inter-school events and competitions, while also hosting a few itself. Aravali has been sending its representatives for elocution, Shri Khoj and for debates. Teams have been sent for The Frank Anthony Debate conducted by the ISC Council, the Vasant Valley debate for the India Today Cup and Shri Debate at the Moulsari campus. The ISC Council also conducts the Albert Barrow Memorial Essay Writing Competition, for which our young writers send entries. The Music Society has represented the school at competitions such as those held at Don Bosco School. 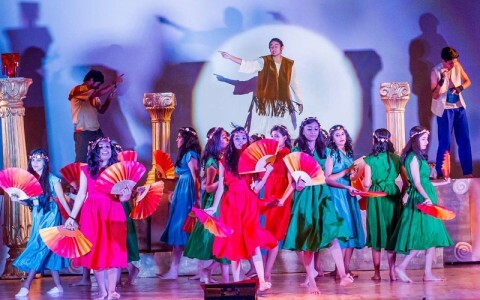 In addition, the Theatre Society has been involved in putting up productions for theatre fests and competitions, for instance at Carmel Convent. Besides participating in competitions outside, The Shri Ram School Aravali is host to events such as Shri Vaad Vivaad, a Hindi debate competition. Shri Soccer is counted among the most respected sports competitions in NCR. 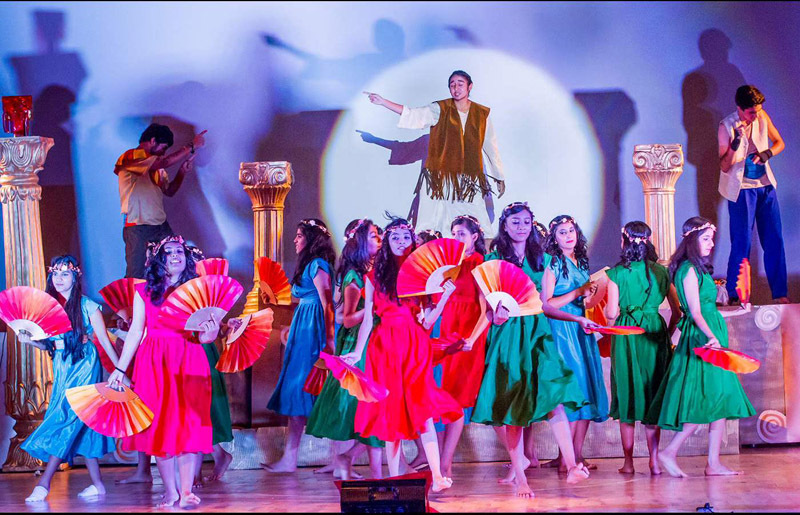 Shri Utsav is a theme-based theater and choreography festival held annually, attracting widespread attention for its uniqueness. 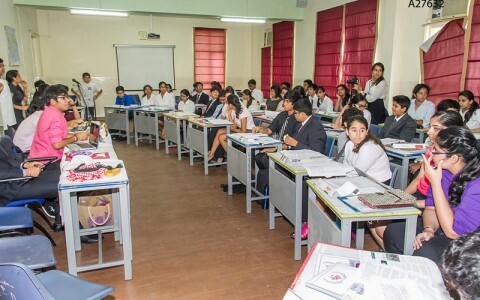 The school also sends delegations of students from classes 9-12 for Model United Nations across the country and abroad, for instance NTUMUN, Cathedral MUN, Doon School MUN, LMCMUN, DAVMUN and Sanskriti MUN. Symposiums also find a place in the calendar of inter-school activities. 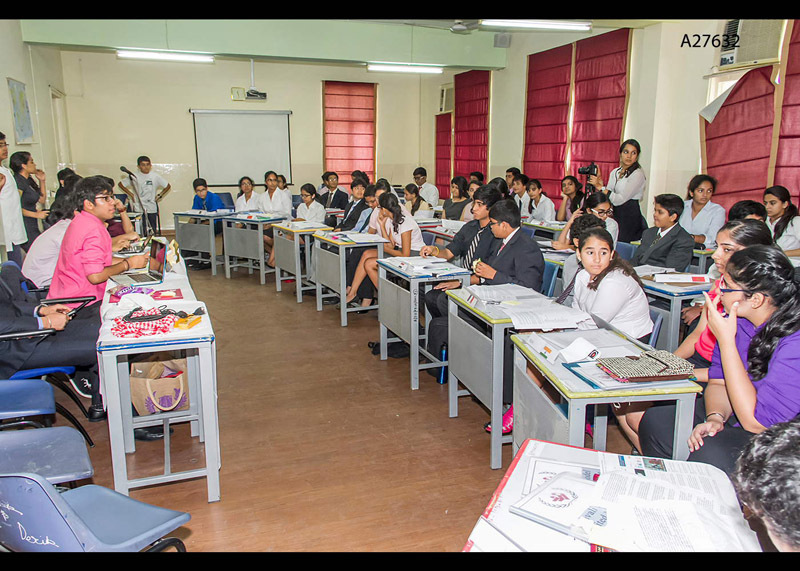 At the inter-house level, competitive events cover creative writing, English and Hindi debates and declamation, science as well as social studies quizzes, and performances in choreography and music, the Shri Battle of the Bands being particularly looked forward to. The four houses led by their Captains, Vice-Captains and House Mistresses compete and battle it out through the year in healthy competition to win the Co-Curricular Cup, awarded to the house with the highest points in inter-house events. It is a hard fought battle through the year, a battle that demands hard work; binds together and hones loyalty and team spirit; polishes, displays, even unearths skills and talents. It is something that teaches planning, coordination, effort behind the scenes and in the limelight, rising to the occasion, coming through for those who depend on you and magnanimity and spirit in triumph or disappointment.